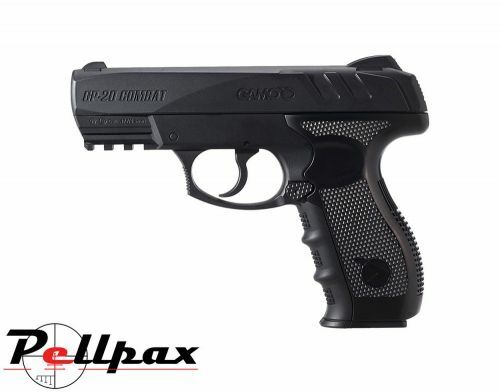 The New Gamo GP-20 Co2 BB Pistol is a great introduction to the world of air guns and air pistols. This pistol features a 20 round removable magazine that takes 4.5mm steel BBs and propels them downrange with a mighty 400 FPS of power, ideal for target shooting, plinking, and teaching the importance about safe firearms handling. It is powered by a 12 gram CO2 capsule which is housed within the grip, and the grip is a textured rubberised finish which is both comfortable and grippy to ensure you get the best shot. The pistol also features a front underside weaver rail, to which you can fit lasers or torches.